The handbook "Morphology of Plants" will be useful to high school students, prospective students and everyone who interested in biology, botany and plants. 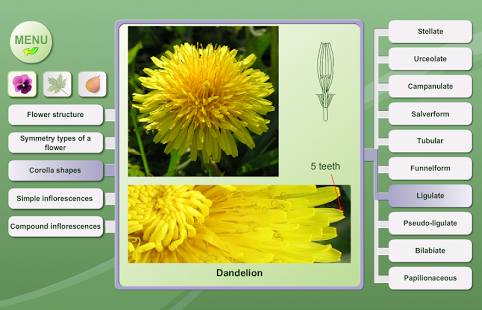 A well-structured biology (botany) handbook with high quality illustrations. 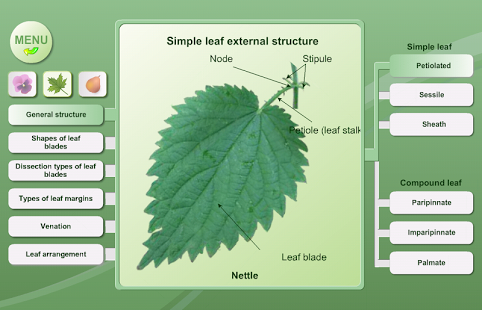 Leaf: general structure of simple and compound leaves; shapes, dissection types, types of margin, venation, arrangement. 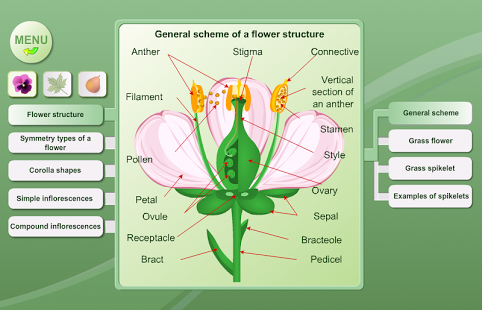 Flower: general structure of a flower, grass flower and spike; symmetry types, corolla shapes, simple inflorescences, monopodial inflorescences. Fruit: classification of dry and fleshy fruits. "Biology. 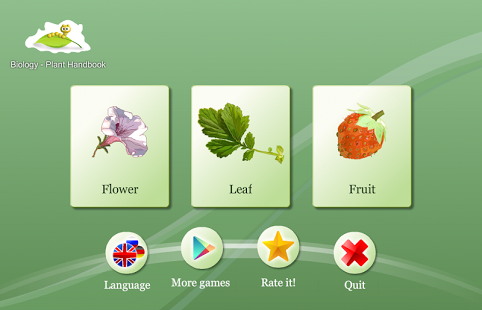 Morphology of Plants" (botany) handbook will be a good biology helper!